Another new TV series is set to premiere this July, This is a light-romance TV series featuring Ms. Jodi Sta. Maria and Papa Chen, Richard Yap! 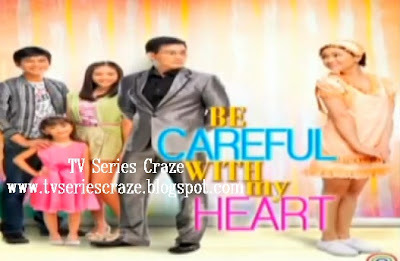 "Be Careful with My Heart" marks the very first tandem of Papa Chen and Jodi. In the story, Papa Chen plays a single rich business man having three kids while Jodi serves as the house's maid and a nanny to the children! The music video also serves as the full trailer of this teleserye since it feature the important scenes in the series. The TV series is also the first leading role of Papa Chen after he was discovered in the TV series "My Binondo Girl" as Kim Chiu's father!